At Living Water Church, we believe that the church is God's people existing together and that's not just on Sunday morning. Because of this, we meet together all across Clark County in what we call Community Groups. This is we have a place to grow in the grace of Jesus Christ, care for each other's needs and share the gospel of Jesus Christ with those He has placed around us. Our Community Groups meet all across Clark County in 10 different locations during most nights of the week. In these groups we discuss and answer questions on the Bible passage that was preached on Sunday. After we finish questions and discussion, we share what's happening in our lives and pray for each other. 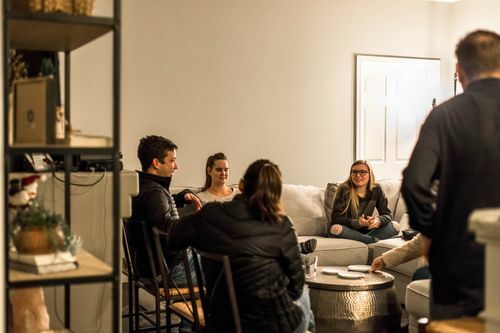 If you're not a part of a Community Group yet and would like to connect to one, we would love to help you find a group that best fits your needs.